I like this feature out of Check Point. Two factor authentication, which you can do with most firewalls, is pretty cool. But I like that the Check Point will also generate you a one time password and send it to you for a second authentication method. Their documentation is terrible, but here is how to set it up. Its not too hard to setup, but again, Check Points documentation is pretty terrible when it comes to this. But still a cool feature. Hi. I have this configured...but can't seem to get TFA to work with the installed mobile access client. Been a while since I did that. Not sure right off. May be a TAC call. 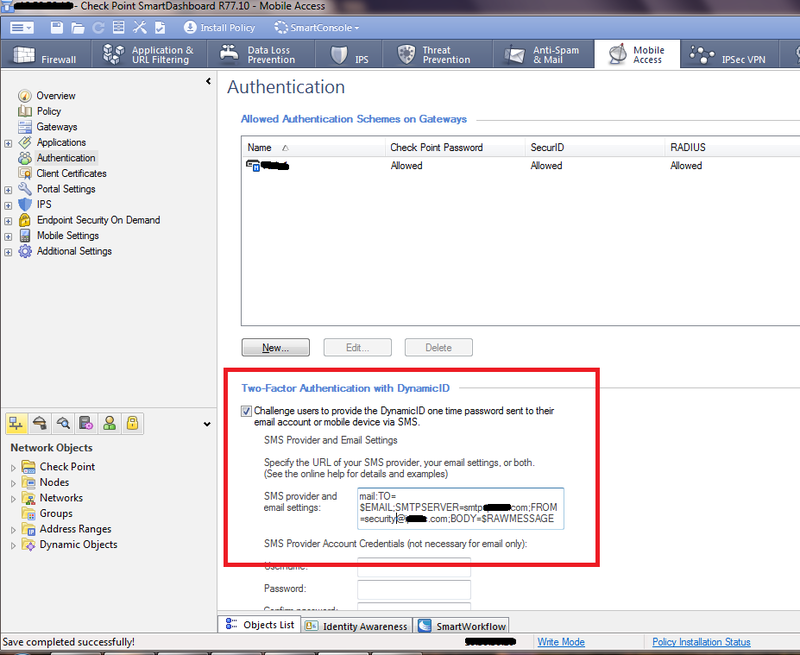 it's not really 2FA in an email and should be setup as SMS for 2FA.